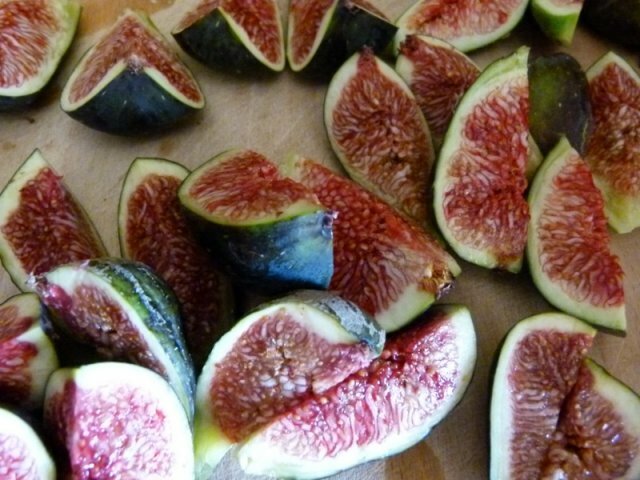 When I was a kid, all I knew of figs were Fig Newton cookies. I never really understood what all the fuss was about, and remember the first time I saw the real thing getting devoured by some eighties chick in an INXS video, and being somewhat grossed out by it. 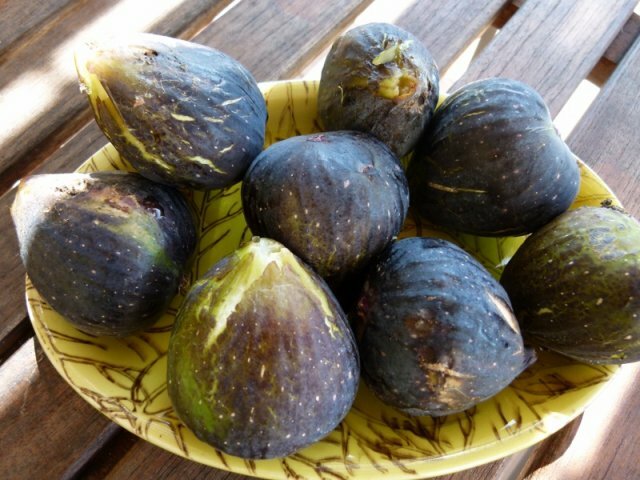 Well, somewhere along the road I learned the virtues of real figs, and their amazing flavor. 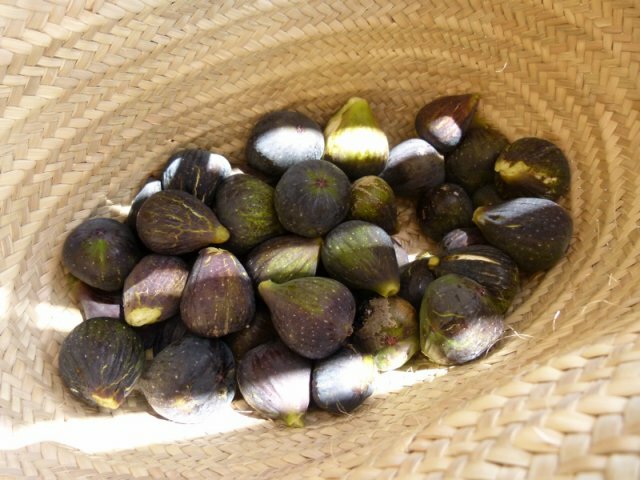 Like any fruit, they are really only tasty for about two weeks a year, and we have the luck of having several fig trees on the property here in Ramatuelle. Today we returned for another harvest, and Laurent hauled a stepladder to the giant fig tree in the middle of the vineyard to get at some of the hard to reach spots on the tree. 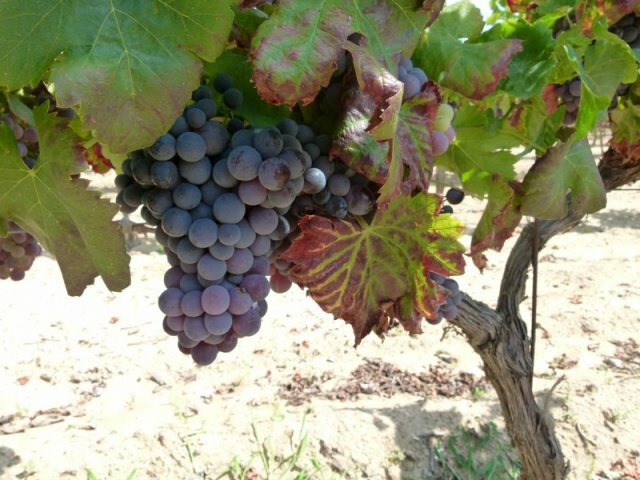 The vineyard is overflowing with bright purple syrah grapes, the harvest will not be far off. 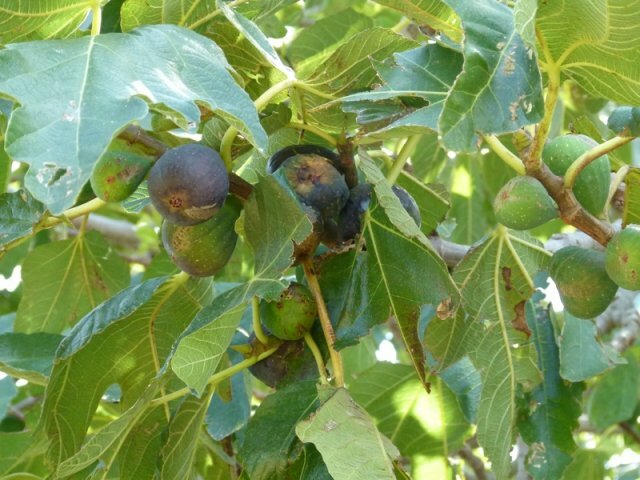 The gorgeous old fig tree has been dropping ripe fruit for about five days now and has reached it’s production peak. Joshua has been dreaming of these figs all summer, even settling for rather blandearly season figs we tried to work with in July. However this batch was not a disappontment! 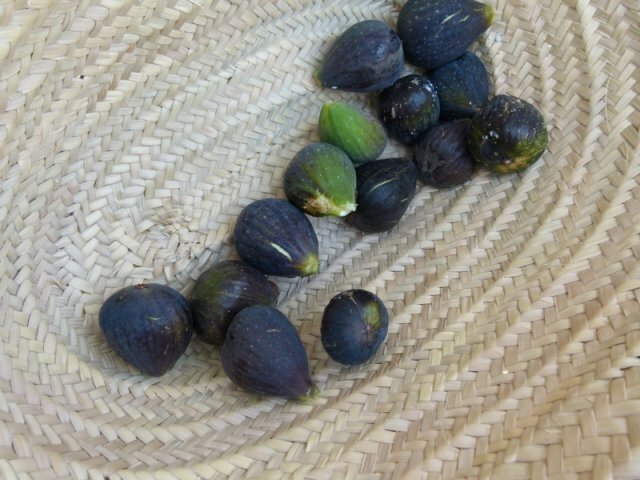 The ripe ones fall apart like fig jelly, and the firmer ones have a texture you can chew to release the seeds and flavor. 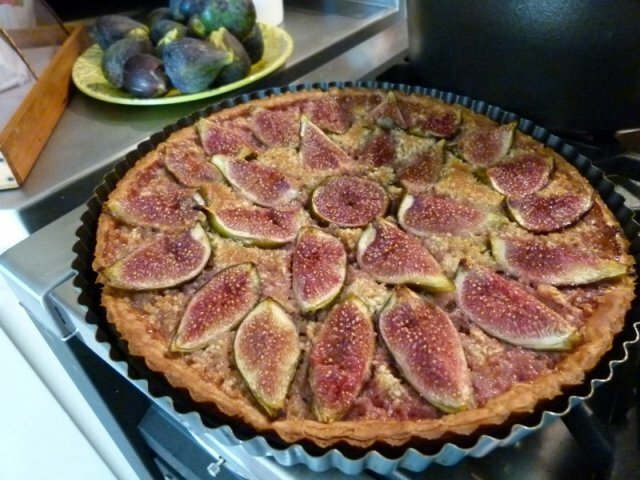 So for dessert tonight…Fig Tart!! 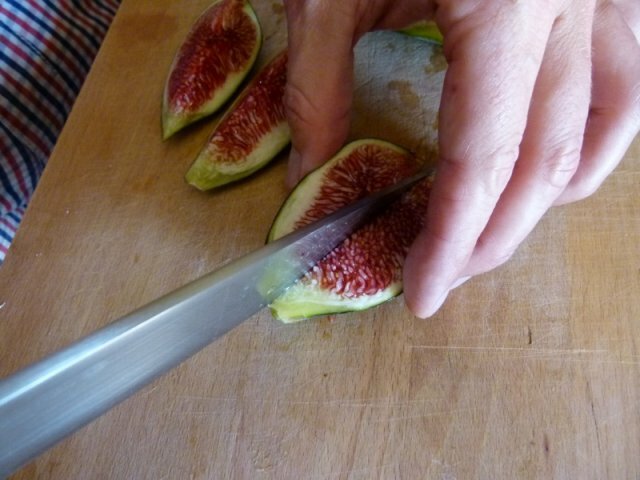 Not to hammer the point too hard, but the real reason this recipe works is the quality of the figs, so we suggest using in season figs, or if not available another fresh soft fruit (such as apricot, peach or similar). 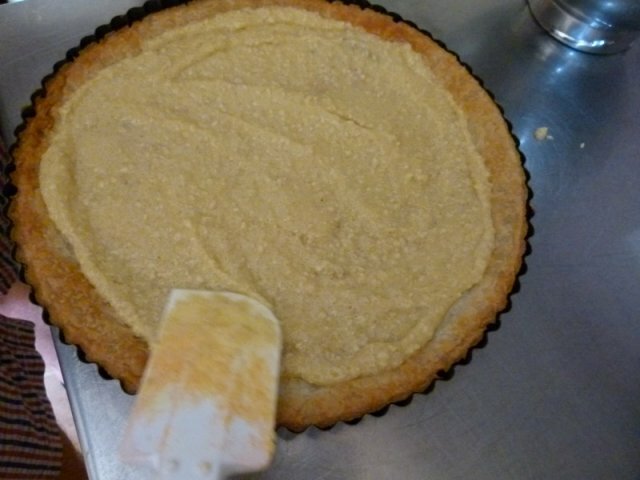 This tart has really been a big hit with our guests, and the preparation is really easy. We suggest you give it a try, do the Big Fig dance and maybe even a few moves from INXS et voila! 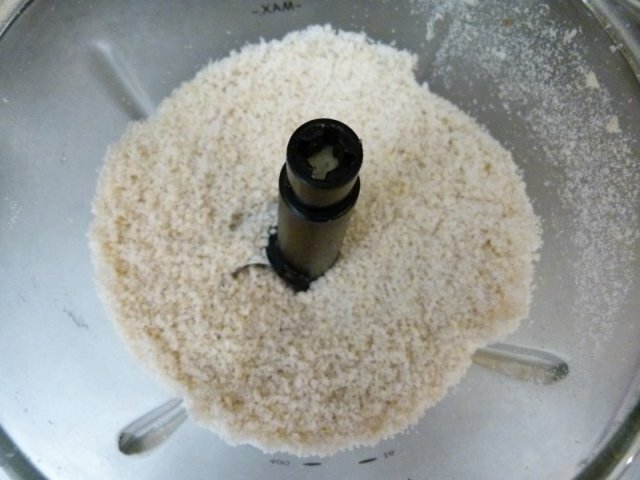 Put the cashews and the sugar into a food processor and process until fine. Add the butter and the egg and pulse until well-combined. Preheat the oven to 400F. Roll out your pastry dough to about 10-inch diameter, press firm into the pan and trim excess. Bake the crust for 10-15 minutes, until golden brown. 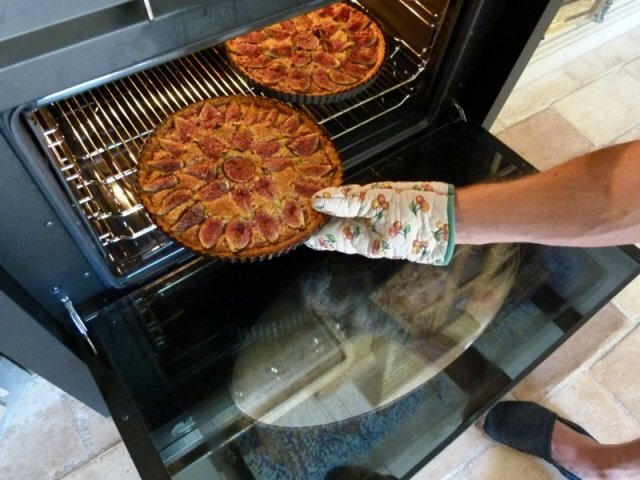 Spread the frangipane on the dough. 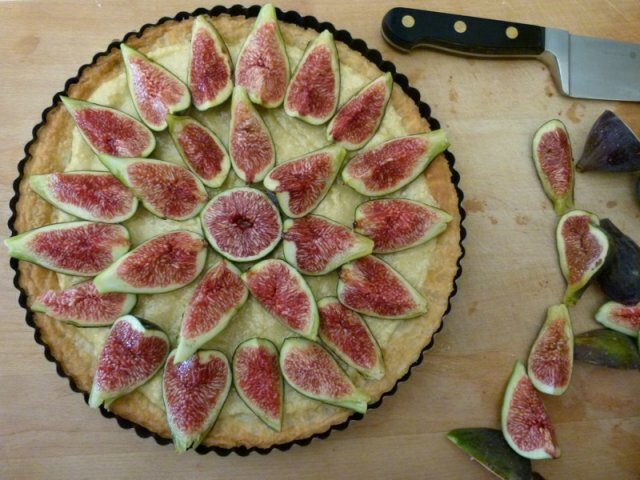 Quarter the figs and arrange them in concentric circles to cover the frangipane. Bake for about 45 minutes, or until the pastry edges are golden brown.